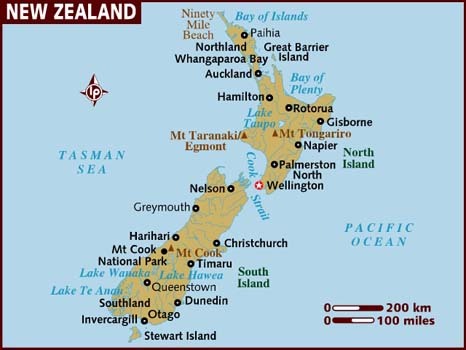 New Zealand is a short, easy flight away from Australia. Direct flights to New Zealand from Australia depart from Sydney, Brisbane, Melbourne, Perth, Adelaide, Sunshine Coast and the Gold Coast. Many of these flights land in Auckland and other popular arrival locations include Wellington, Christchurch and Queenstown. Domestic services connect Auckland airport with a number of other airports in New Zealand. Cruising is another popular way to get to, and explore, the country. Cruises to New Zealand from Australia depart from various locations in Australia such as Adelaide, Brisbane, Fremantle, Melbourne and Sydney. There are also cruises from the Pacific Islands and some are round-the-world journeys.